Ruling makes it harder for unions to determine who has voted in elections. The theoretical possibility that someone could use public records to identify and intimidate individuals is enough reason to deny the public access to those records, the State Supreme Court said this week in a ruling that will add a new limit on the open records law. 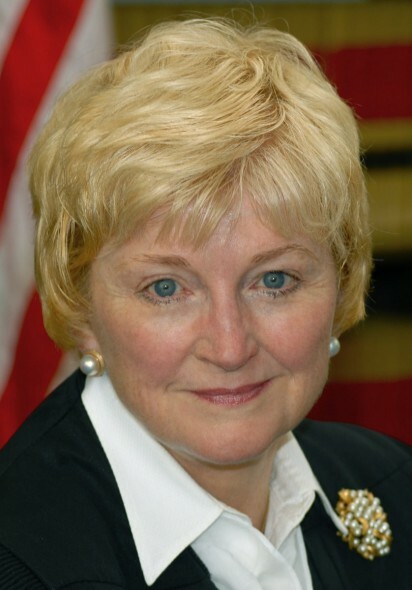 The court, over a fiery dissent by Justice Ann Walsh Bradley, decided that records can be denied even without any evidence that harassment or coercion would occur or had occurred. The 5-2 majority, in an opinion by Chief Justice Patience Roggensack, said it was fine to delay release of information about who voted in a union recertification election to avoid potential voter intimidation. But the union involved has no history of such activities, Bradley wrote. The majority cited as justification “one uninvestigated and unsubstantiated complaint from Racine County, involving a different union, in a different election, in a different year, that did not involve a public records request,” Bradley charged. The majority also ignored an earlier Court of Appeals ruling that the possibility of threats, harassment or reprisals cannot be given significant weight when the records custodian has not determined it is reasonably probable those things would occur. While the ruling immediately applies only to the case brought by Madison Teachers, Inc. against James R. Scott, the chairman and records custodian for the Wisconsin Employment Relations Commission (WERC), the precedent and its newly low bar for denying records could become a handy excuse for other governmental units to use when denying access to other types of records. In the Supreme Court’s case, WERC denied Madison Teachers, Inc. access to information about who voted in a union recertification election until the voting, which occurred over 20 days, was over. The union twice filed requests during the 20-day period for information about the voters, but WERC delayed complying. Madison Teachers filed suit, alleging violation of the public records law, and Dane County Circuit Judge Peter C. Anderson ruled in the union’s favor. Scott, of WERC, appealed directly to the Supreme Court with its permission, bypassing the Court of Appeals. Roggensack, in her opinion, said the public’s right to government records is not unrestricted. Scott was correct in determining that keeping elections free of voter intimidation and coercion outweighed the public interest in access to public records, she wrote. Excerpts from Justice Ann Walsh Bradley’s dissent. This time the majority undermines the presumption of open access to public records by imputing an unsupported and nefarious purpose to the records requests based on nonexistent facts. In short, it is difficult to imagine a scenario where there is less evidence of potential harm in the record than here. One would expect the highest court of this state to rely on more than such unrelated and unsubstantiated allegations for its assertion that the risk of voter intimidation or coercion here was great enough to overcome the strong presumption of open access to public records. It does not. The identity of the requester and the purpose of the request should not matter here. Nevertheless, if the majority is going to erroneously superimpose its own speculative motive upon the requester, it should at least mention existing facts of record that support a contrary conclusion. It fails to do so. The annual elections for public employees to select representatives for purposes of collective bargaining were previously conducted in person. They are now conducted electronically and employees vote either by phone or computer. MTI asserts that what was formerly an open and observable government process is now closed. It contends that the only opportunity that the public has for oversight of WERC’s election administration is through public records. MTI explains that the need for oversight is revealed by the facts of record. However, the majority omits these facts. When speculating about the intent behind these records requests, the majority also ignores the record evidence that MTI advised WERC that it “w[ould] not engage in voter coercion or any other illegal election practices during the upcoming election.” MTI explained at oral arguments that it made these records requests to ensure WERC properly executed its election administration duties. Scott undermined his purported concern about protecting the secrecy of the ballot by releasing the names of those who voted after the conclusion of the election. I agree with the circuit court that refusing to disclose the names of voters during the election but releasing that information after the election is “entirely contradictory” and “paradoxical.” Accordingly, I afford Scott’s purported concern about maintaining the secrecy of the ballot little weight in the balancing test. The usual admonition is that if you do not have the facts, then argue the law. Conversely, if you do not have the law, then argue the facts. The majority has neither. It’s interesting that Republicans haven’t had any concerns with digitizing Walker recall lists and harassing those individuals. Huh, really makes you think. Best court money can buy. We are losing democracy every day here in Wisconsin. No more equal say in this court, just a corporate run court system that bribes it’s ring wing puppets. What ever happened to a person’s work environment behing a safe space. If a worker believes in the union cause they will vote with the union. Why must unions intimidate? The post-2010 redistricted legislature made these representation elections dependent on a majority vote of all persons in the unit, not just of those voting. Thus, knowing who has not voted is critical. How about making legislative elections dependent on a majority of all residents above the minimum voting age in a district voting for the winning candidate? How about Supreme Court elections being held to the same standard?